Herpashed is used to soften the skin and lift the sloughing skin from reptiles. Shedding is a normal process for reptiles and if shedding does not occur on time, it might become a serious problem. 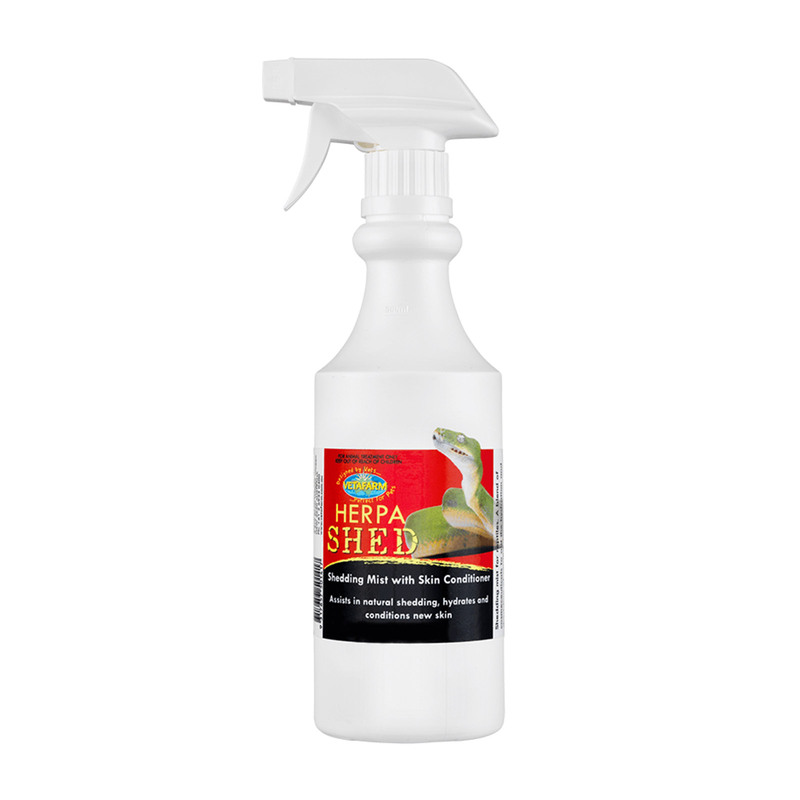 Herpashed ensures proper hydration and shedding of the reptile skin. It is widely recommended for all reptiles as a shedding aid. Lightly spray your reptile with Vetafarm HerpaShed once daily while shedding. Store below 30 degrees of temperature. A good product that prevents shedding issues for almost all kinds of reptiles including my turtles.